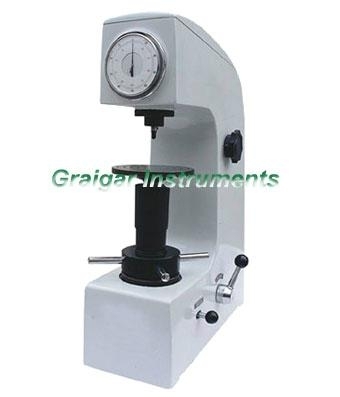 HR-150A Rockwell Hardness Tester is suitable to determine the Rockwell hardness of ferrous, non-ferrous metals and non-metal materials. It can be widely applied in the Rockwell hardness testing for heat treatment materials, such as quenching, hardening and tempering, etc. non-metal materials. It can be widely applied in the Rockwell hardness testing for heat treatment materials, such as quenching, hardening and tempering, etc.